You'll explore the less-touristy side of things at Ayutthaya Ruins and Wat Yai Chai Mang Khon. Change things up with these side-trips from Bangkok: Ayutthaya (Wat Chaiwatthanaram & Wat Phra Sri Sanphet). 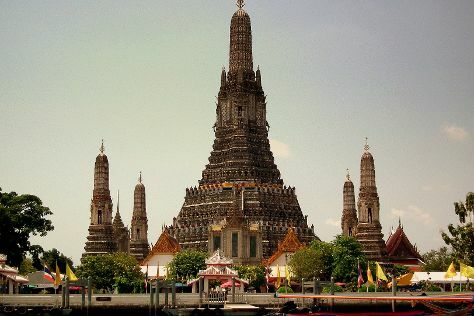 There's much more to do: take in the spiritual surroundings of Temple of Dawn (Wat Arun), shop like a local with Chatuchak Weekend Market, indulge in some culinary diversions at a local gastronomic tour, and browse the different shops at Siam Paragon. For where to stay, photos, more things to do, and tourist information, read Bangkok trip planner. November in Bangkok sees daily highs of 38°C and lows of 29°C at night. Cap off your sightseeing on the 14th (Wed) early enough to travel back home.